Oil on canvas reproduction of “Bath time, Valencia”, an oil on canvas that Sorolla painted in 1909. The period when he painted traditional scenes on the beaches of Valencia is the period that made him most famous for his unique way of treating light. 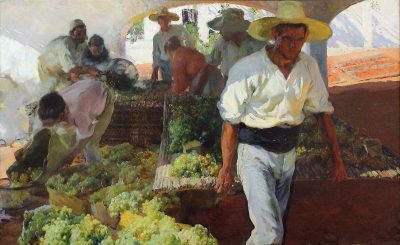 This work is in the “Sorolla Museum” in Madrid, and measures 150 x 150 cm.